Creating your own website isn’t the impossible task it seemed to be a decade ago. Now with so many options simplifying the process down to basic drag-and-drop, you can get a website up and running in minutes. As hard as it may seem to believe, you’ll likely soon be crafting fully functional apps just as easily. But while we aren’t there quite yet, building your own app now shouldn’t require a computer science degree or push you to Stephen King-level insanity either. In fact, it’s fairly simple if you follow steps laid out by pros like the instruction in the Hello Web Books video bundle. It’s on sale now at $29, an 85 percent savings on its regular price, from TNW Deals. This collection features 45 videos and screencasts that focus on exactly how to design and develop a working, viewer-friendly web app you can be proud of. Most importantly, this training is aimed at non-programmers, so you can avoid the sea of jargon and presumptive knowledge that can scare and confuse learners. Over its first half Hello Web App, you’ll tackle the nuts and bolts that go into building an app, primarily using the development languages Python and Django. This training will help you choose a project, set up a database, build features and get your app up and running for real world customers and users. 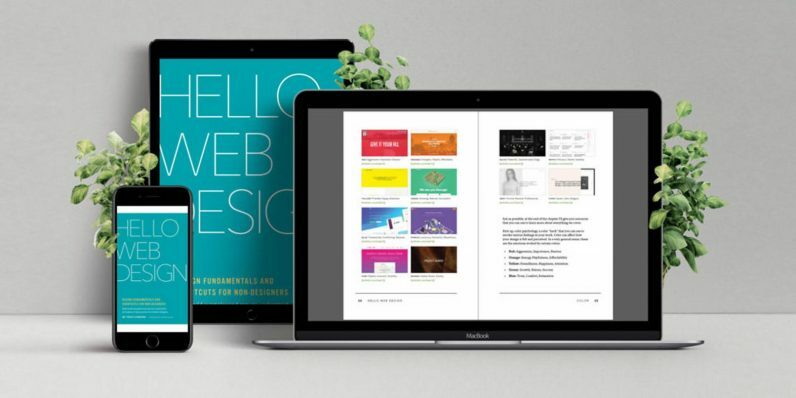 Once you’ve got the structural side covered, Hello Web Design breaks down how to create various web design elements for your app, all into bite-sized pieces that give your app polish and style without overwhelming a new programmer. Lifetime access to this bedrock knowledge usually runs almost $200, but with this limited time deal, you can pick up this package now for only $29.